Meet Max and his musical monster mates! 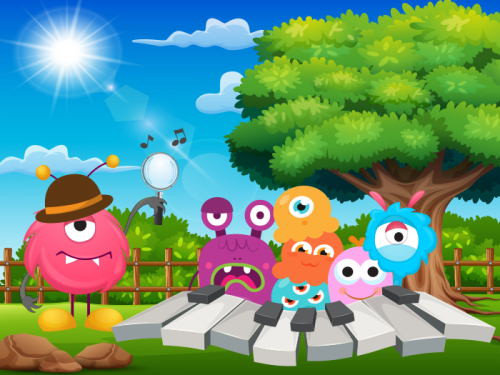 Can you complete their Piano Monster Mission? The monsters have locked all the music theory games with codes! Unlock them all to earn badges and points to complete the mission. If you succeed they will award you a printable certificate. Music theory the fun way for young beginner pianists from the very first lesson. Use alongside any tutor book to reinforce what is being learnt. 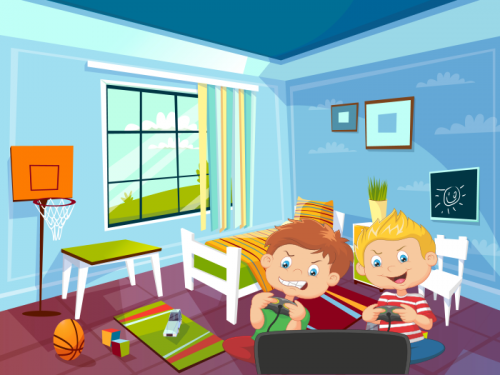 Features online theory games, quizzes, puzzles and drawing activities (draw or colour on the screen and print out your artwork!) plus a printable certificate to unlock. The Musical Alphabet: There’s a job going at the train station but will you get hired or fired? 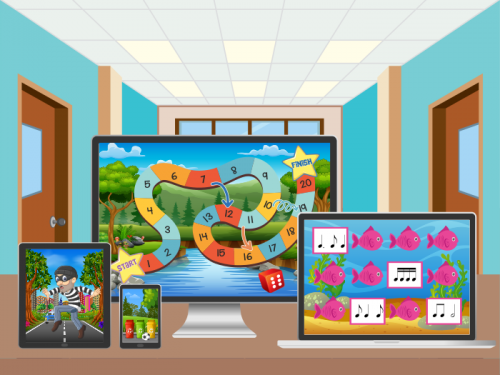 There are two games in the first section which can be played from the very first lesson and help students remember their musical alphabet. Finger Numbers: Climb the ‘Ant Trail’ and try to top the leaderboard or visit the shopping mall and paint the fingernails. A fun way to learn finger numbers in right and left hands. Piano Keys: Play ‘Fruit Drop’ and collect more apples than anyone else or try to catch the ‘Autumn Leaves’ and top the leaderboard. Four games all about the white keys on the piano. Counting Beats: Seven games on simple note values (1,2,3 and 4 beat notes) including creating your own ‘Superhero’ and sending your teacher to a desert island in ‘Sailaway Teacher’. Maths Turtle is an on-screen colouring activity using musical maths. Time Signatures: Can you help William The Wizard creep past the sleeping dragons without waking them up or hit the bullseye in ‘Musical Bullseye’? Seven games on simple time signatures (2,3 and 4 beats in a bar using simple note values). Includes adding bar-line games such as ‘Cake Shop’ and ‘Pin The Hat On The Monster’! Musical Signs: Three games on simple musical signs for beginners. Are you brave enough to spin the wheel in ‘Love Hearts’ and can you catch the groundhogs in ‘Groundhog Chase’? Treble Notes: Visit the fairground and try your luck on the toy grabber machine or try to make pizzas against the clock in the ‘Pizza Takeaway’. Nine games on treble notes from Middle C up to G in the five finger position. The first two games in this section let you focus on one note at a time. Bass Notes: Can you guide the alien spaceships to safety in ‘Beam Up Bass’ or collect enough hearts to pay the wizard so he will let you leave ‘Planet Purple’? Nine games on bass notes from Middle C down to F in the five finger position. The first three games in this section let you focus on one note at a time. Notes and the Piano: See a written note and play it on the online piano in the final three games in this pack. Help Bob win the heart of the Princess or watch out for those bananas in ‘Monkey Jump’! These theory games are so useful to revise the beginner’s music theory. 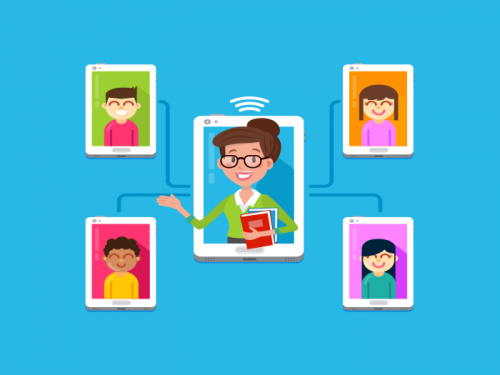 It covers all topics we learn as a beginner learner. It is a great idea to put fun games and learning materials together so young students don’t get bored when they actually study music theory. Thank you for this wonderful theory games!